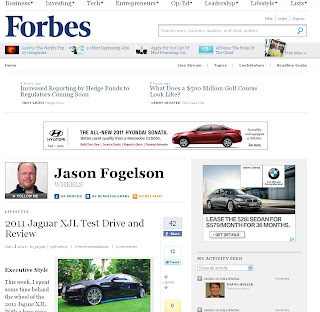 Facebook launched the ability for brands to sponsor posts and this morning I caught one example from Jaguar who decided to shine some attention on a recent Forbes magazine review of its Jaguar XJL. The ad shows up as a "Sponsored Story" from Interactive Jaguar, which is the Facebook fan page for the Jaguar brand. When you click the story you are brought to the Forbes website to read the review. 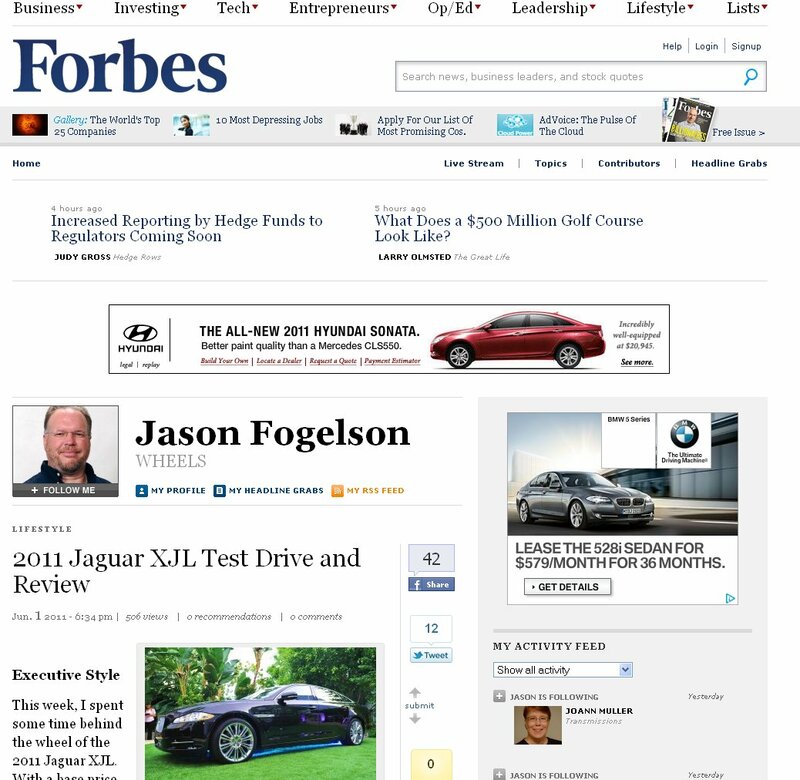 In a bit of media buying hilarity the Forbes article that Jaguar is sponsoring on Facebook is being heavily sponsored by Hyundai and BMW with the two competitors (well I guess only one is a direct competitor) advertising on the Forbes website. Fortunately the review is about Jaguar and does offer some great thoughts on the XJL for readers.